Snow takes you on a visual and musical journey. 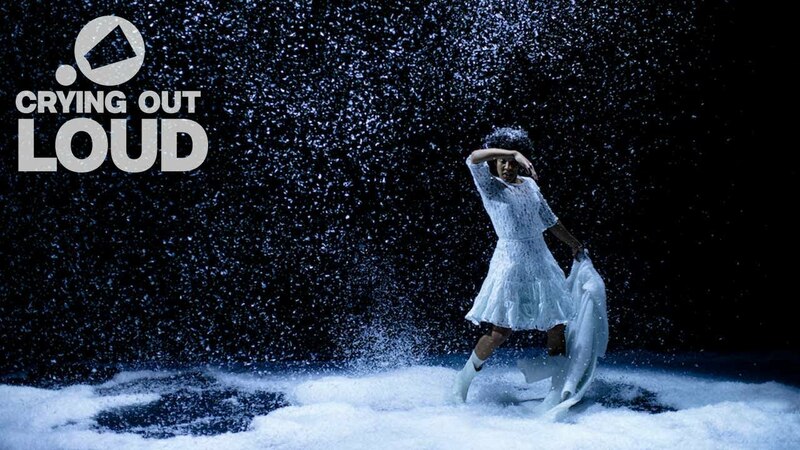 A dancer/singer and a guitarist tell the story of Snegurotshka, an age-old Russian fairy tale about a snow-girl who follows the rhythm of nature, but who can also control some elements of her environment such as mist, ice and snowstorms. However she cannot stand heat, which makes it impossible for her to fully take part in the human world. She’s often alone, but finds herself protected by a fire-red fox that follows her around everywhere she goes. 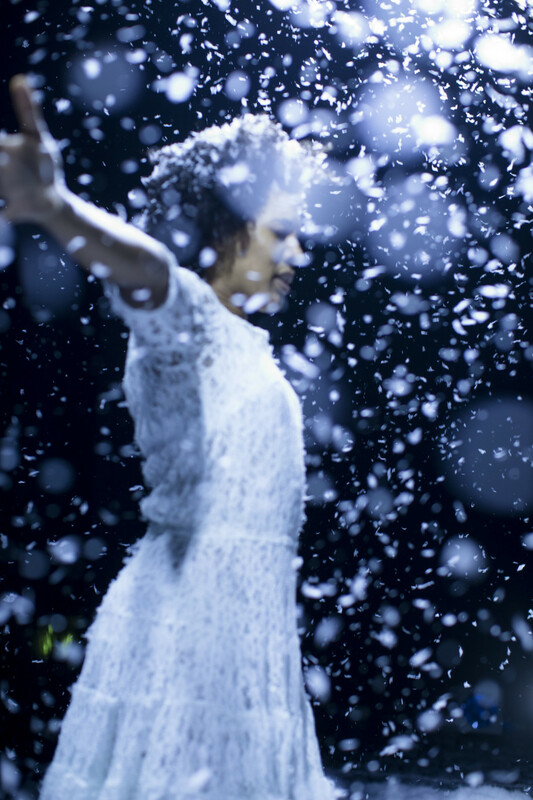 Snow is a visual tale in which music plays a big part. It’s the perfect introduction to contemporary music and dance for young audiences. Inne Goris has been a long-term Crying Out Loud associate artist and is working in Belgium with LOD, a production company for opera and musical theatre, a creative base for performing artists. Snow is another confirmation of Inne Goris' rich and dark universe. Snow is a beautiful and intense show. Thomas Smetryns studied composition with Godfried-Willem Raes, and guitar, lute and theorbo with Ida Polck and Philippe Malfeyt at the Ghent Conservatory. As a composer he is very interested in the search for a new, experimental musical practice that remains anchored in an historical and/or social (sub)consciousness. He shares this interest with the American composers Brent Wetters and Jonathon Kirk; together, they form the “Medusa” collective.